Some things happen slower in Alaska. The past few weeks’ frenzy of getting up here and ready for our first halibut trip delayed this post. Though the official day has passed, the sentiment is still relevant. Robert Fulghum has an essay about Mother’s Day. How, as a Unitarian minister, he gave a sermon on Mother’s Day – not of the flowers-and-Hallmark variety, but one that acknowledged the complications that so often accompany our relationships. This is that kind of story. In 1986, my parents built the Willie Lee II. For 4 years, we fished her as a family. My dad was thankful for our experiences on the water, but didn’t believe salmon trolling could support us in the long run. My mom disagreed. When they split up, she took ownership of the Willie Lee, with her 13 year old daughter as her crew. My mom and I have not had smooth seas. Seething with rage and grief following my parents’ divorce, I moved out of her house at 15 to live with a boyfriend. Fishing was our one remaining point of contact: every June, regardless of our estrangement, we’d reunite at her boat and head north, prepared to spend the next 3 months living and working in extremely close quarters under stressful conditions. Throw a hateful 16 year old and an exhausted, isolated parent/employer alone together in 54’ of boat, send them out to sea for a record 26 day trip, and see what happens. Hard times. Weren’t many women skippers in the early ‘90’s. If you ask her how it was to be a woman in such a male-dominated industry, she’ll declare that she felt completely welcome. She loved the physical labor, the mental demands, and the community. Much of the community loved her right back, attracted as much by her enthusiasm and eagerness to connect with people, as the sheer novelty of a mother-daughter operation on one of the fleet’s bigger boats. We fished the Willie Lee together for 6 years. She installed a refrigeration system, gaining access to the premium frozen-at-sea salmon market. But the expensive undertaking was followed by a few bad seasons – poor fishing, low prices. My dad’s dire predictions were confirmed: My mom, very nearly broke trying to earn a living doing what she loved, was forced to sell the vessel they had crafted with their own hands. 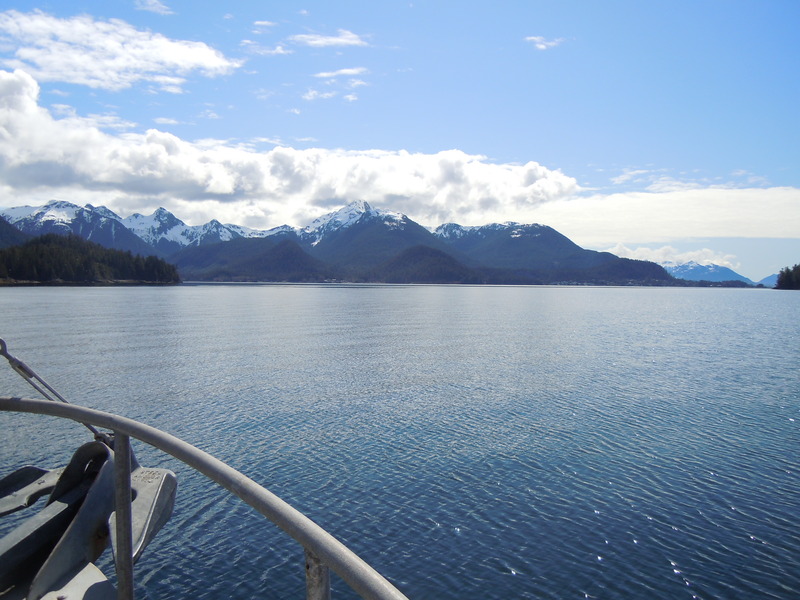 It’s been 15 years since my mom navigated Southeast Alaska, but she’s still present in the minds of old-timers. Every summer, they ask me how she’s doing, chuckle over their favorite Val stories. One that always comes up is from 1993, when she was trolling off the Washington coast. When the 5/64”stainless steel fishing wire backlashed on its hydraulic spool, she reached in to sort it out, without clipping it off to relieve the tension – exactly what she’d always warned me never to do. The wire slipped loose unexpectedly. All of that line’s weight sliced through her left thumb. Trained as a veterinarian, she picked the 1” nubbin up off the deck and held it in place. He got out his needle and sutures. That summer, she wore a bulbous, grubby bandage swathed around her fragile digit. But the doctor had been right: the flesh had been too long apart. All that season, whenever fishermen asked how her thumb was doing, she eagerly yanked off the covering: “Oh, it’s coming along – look!” More than a few salt-crusted veterans spat out their coffee mid-sip and turned green at the sight of that blackened stump. It’s tough to live up to a legend. I spent much of my twenties feeling vaguely ashamed of my career deckhand status. Where fishermen’s smiles carried warmth, I saw measurement. Where they expressed approval, I heard faint disappointment. Thought Val’s daughter woulda got her own boat, done somethin’ more… I still sometimes feel like I’m walking Sitka’s docks in my mom’s shadow. In the years since she left fishing, she’s pursued another dream, single-handedly turning her 5 acres into a farm, shifting from harvester of the sea to that of the soil. Fruits, vegetables, herbs all flourish under her care, along with chickens, rabbits, and goats. But her enthusiasm and passion have always exceeded her availability. It’d be tough to manage this alone with all of the hours of the day; she’s struggled to do it while simultaneously working swing shift work – 12 hours on a week of days, followed by a week of nights – as an oil refinery operator. She doggedly refuses to use the F word to describe herself, yet is one of my earliest models of feminism. From her experience as 1 of 3 women in Cornell’s veterinary program to skippering her own fishing boat, every stage of her life has been testimony to forging one’s own path. So it confuses me to see this astoundingly competent, accomplished woman tentative and grasping. I’m impatient with her deference to men and naked hunger for my approval, irritated by every expression of self-doubt and each pandering “What do you think, Bud?” to a dismissive companion. How can she be uncertain of the strength of her own two feet, when so much of her daughter’s life has been a semi-conscious effort to fill her boots? This Mother’s Day, I’m following Robert Fulghum’s lead. No flowers or cards here, the gifts I wish I could give my mom are of a different sort. Like-minded friends who delight in her farm, people who understand the struggles and celebrations of farming. A partner who respects her dreams, independence, and the intense labor she’s given her land. A long, active future of digging in the dirt, cultivating new life and well-being. A daughter more patient with differences, more forgiving of the past and more dedicated to a future of common ground. Stuff you can’t find on Hallmark shelves. Though this post is for Val Aadsen, I’ve been tremendously fortunate to have many strong, inspiring women in my life. MJ, Carol, Joy, Vickie, Auntie Social – thanks to you all for sharing your lessons and love. The Charity is fired up and ready to cut the lines, so I’ll type madly to give a brief update. This is one of the many moments I think how lucky I am to fish with my brother, who sees me twitching for a last internet message and jerks his thumb at the cabin door. “Just go.” I scurried up to the grocery store next to the harbor, the closest place with wireless. Good thing, too – just realized we didn’t buy any coffee for this trip! We’re iced up, fueled up, full of groceries and optimism. Got a good forecast, and ran 500 pounds of frozen-solid humpies through a chop saw this morning, getting our bait ready. (You’re going to have to see a picture of that process – humpy sawdust everywhere – but another time.) 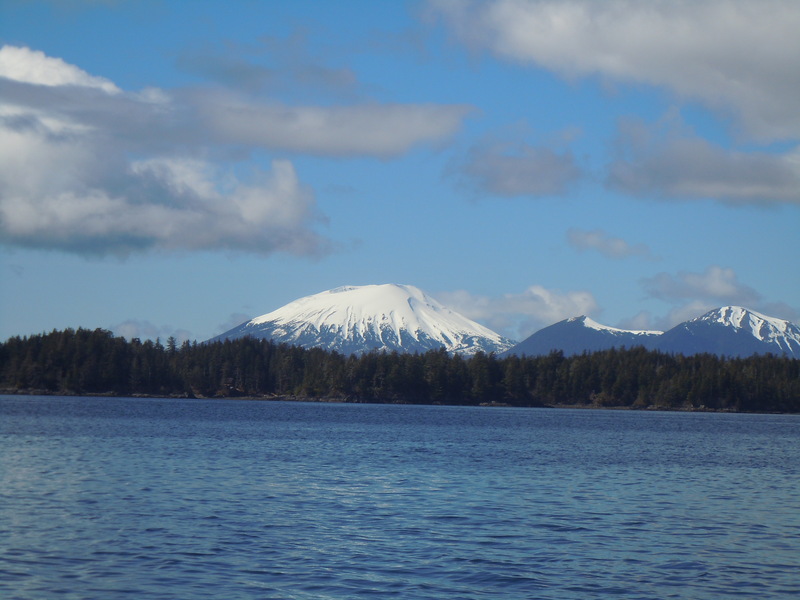 We’ve got a personal quota of 10,000 pounds of halibut to catch, and anticipate being back in Sitka in a week. Another exciting opportunity came up about three weeks back. 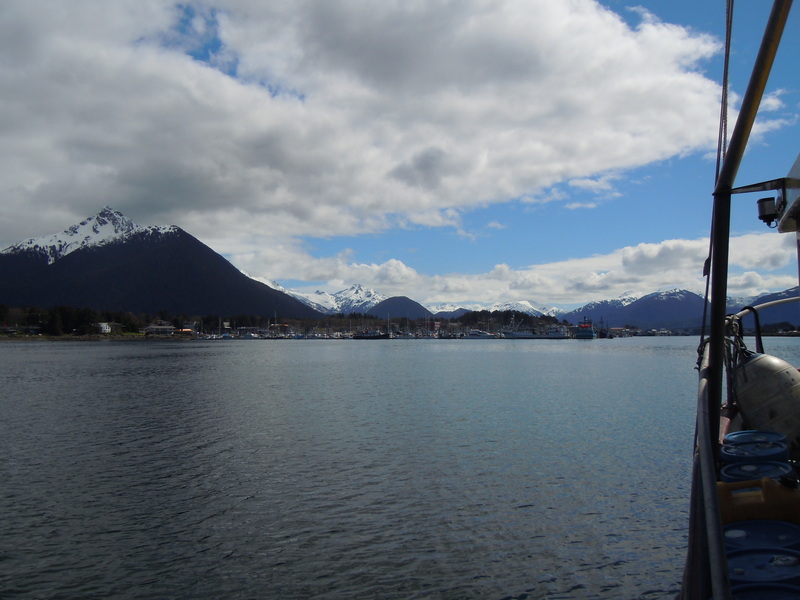 A new friend is launching a website for all things Alaskan commercial fishing-related, and invited me to share some logbook-style posts over there. Alaska Waypoints goes live tomorrow morning, 5.11.11, at 10 AM PST. 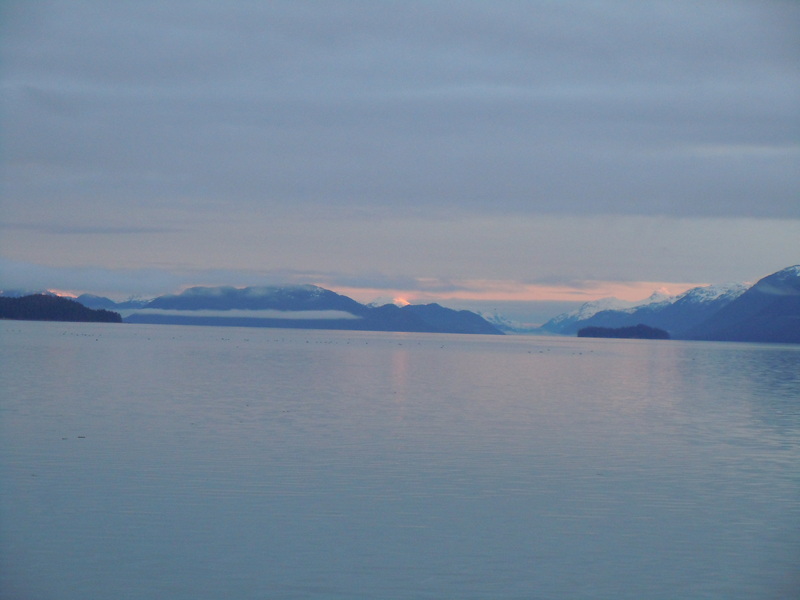 You can find my column, “Southeast, Variable,” at http://www.alaskawaypoints.com, with a story from our trip north last week. Please do visit and share with anyone connected to the fishing business; it’s going to be a fantastic resource for our folks. On that note, I’m ready to grab some coffee and run back to the harbor. Funny how the preparation of getting ready to go fishin’ can be so much more exhausting and frantic than the actual WORK of fishin’, itself. Martin and I are in agreement: It’s time to leave town so that we can get some rest. Be well, all – please check back in for some new stories in about a week.